Go to the New Site! The Merriam-Webster Online Dictionary defines a purple passage as one conspicuous for its brilliance in otherwise dull writing. For this feature, I’m concentrating on only the “brilliant” part of the definition. 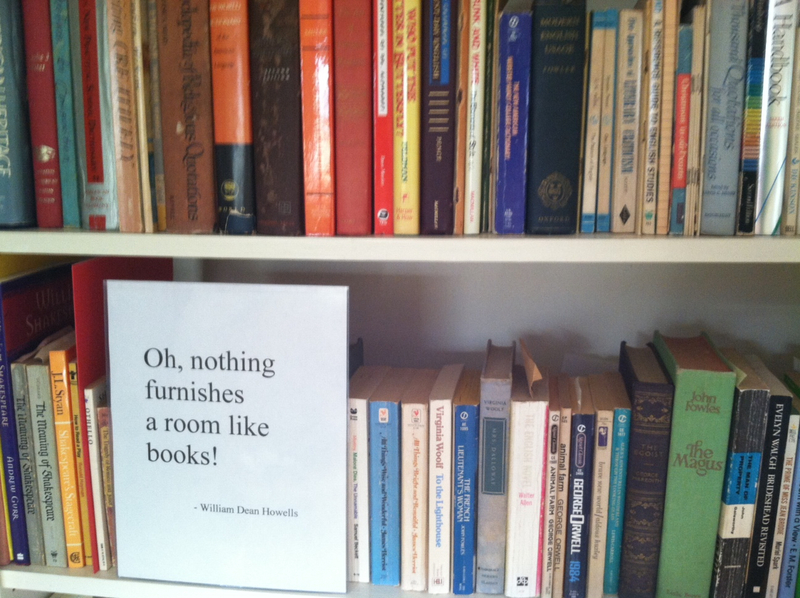 As books furnish a room, so do lines quoted from books furnish the landscape of our minds. This space is reserved for notable quotes from my journals and our sources with the invitation for you to add yours to mine at any time. In other words, please comment! Quotes are selected not always because I agree with them, but they have given me cause for pause. You will be notified when new quotes are posted. 14th Edition*** Published August 27, 2014 Purple Passages and Feet in the Creek, August 2014. 15th Edition*** Published September 20, 2014 Purple Passages and a Mirror, September 2014. 16th Edition*** Published October 15, 2014 Purple Passages and a Teddy Bear, October 2014. 17th Edition*** Published November 12, 2014 Purple Passages and Fine China, November 2014. 18th Edition*** Published December 17, 2014 Purple Passages: Time and Tiny Tim, December 2014. 19th Edition*** Published January 17, 2015 Purple Passages: Rich Word$, January 2015. 27th Edition*** Published January 6, 2016 My Word, It’s 2016! 29th Edition***Published February 29, 2016 Are You Ready for Spring? Thank you for your comments on katesclippings. I sense we have much in common: a childhood in a close Baptist community here in Australia for me; a lifetime of reading; a long cherished dream to write now beginning; a continuing search for the sacred; the gym/getting fit; a deep delight in teaching adults… I look forward to getting to know you! Welcome, Kate. Except for the home base in Australia, all of your descriptors fit me to a tee. How wonderful to connect. I look forward to getting to know you too! My Grandmother, S.Mary Espenshade Ulrich, also from Rheems, and then Elizabethtown, often said to me,” Too soon old, too late Smart”…….Boy, she was so right! Philip, my Aunt Ruth Longenecker was the principal of Rheems Elementary School for several decades. It seems to me she had a secretary named Dorie, but I am not sure. The name sounds familiar, but I don’t think we are related. Again, thanks for your interest in tracing family history. The internet makes all this possible – amazing! Thanks for your thoughts and comments.